Jeff Burton, veteran driver for Richard Childress Racing, may be feeling a little singled out by corporate America as it becomes more and more likely that he will lose his primary sponsorship from Cingular Wireless through no fault of his or his team. The latest saga in Burton's sponsorship woes centers on AT&T's recent acquisition of BellSouth/Cingular and the assumed changing of the Cingular identity logo to reflect AT&T's ownership of them. 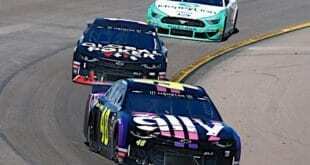 NASCAR, as part of their series sponsorship agreement with Nextel Wireless had agreed contractually that no teams may acquire sponsorship from companies competing with Nextel. Or, as in the #31's case, change their sponsor's name. Jeff Burton, veteran driver for Richard Childress Racing, may be feeling a little singled out by corporate America as it becomes more and more likely that he will lose his primary sponsorship from Cingular Wireless through no fault of his or his team. The latest saga in Burton’s sponsorship woes centers on AT&T’s recent acquisition of BellSouth/Cingular and the assumed changing of the Cingular identity logo to reflect AT&T’s ownership of them. 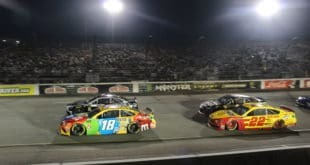 NASCAR, as part of their series sponsorship agreement with Nextel Wireless, had agreed contractually that no teams may acquire sponsorship from companies competing with Nextel. Or, as in the No. 31’s case, change their sponsor’s name. Cingular Wireless and Penske Racing’s driver Ryan Newman‘s wireless telecommunication sponsor Alltel were originally ‘grandfathered’ in with 2004 when the series sponsor switched from Winston to Nextel. However, at that time AT&T, who had provided limited sponsorship to BAM Racing and the No. 49 driven by Ken Schrader in 2003, was not allowed to expand their sponsorship, as they had intended for the following season. A fact that perhaps Burton can find solace in. That decision undoubtedly was devastating to the small, sponsor-challenged organization. 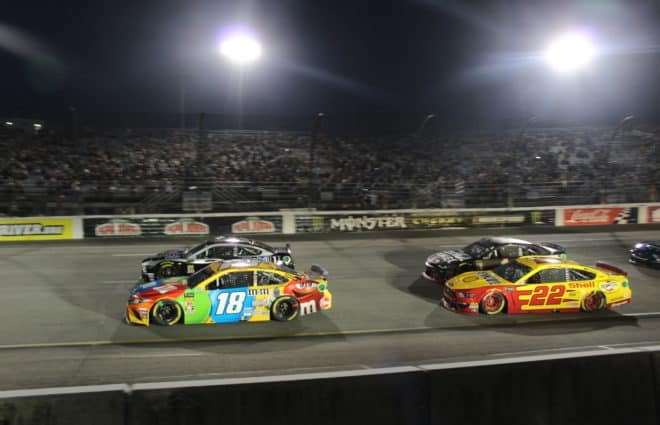 Many in the NASCAR community believe that Nextel and NASCAR have overstepped their bounds in disallowing any coveted and lucrative sponsorship opportunities to team owners. On the other hand, it is important to understand the reasoning behind the prohibition on new and/or reorganized Nextel competitors from using the Cup series arena to sell their wares through team sponsorship. And of course with most things NASCAR these days, it’s all business. In 2003, Nextel, at the time ranked as the fifth largest wireless company, entered into a bidding contest against some much larger and much more financially solvent companies for the rights to sponsor NASCAR’s top racing series. Names such as Bank of America, Visa, FedEx and yes, even AT&T were rumored to be vying for the very expensive advertising rights. In a surprise to many in the financial world Nextel won the rights to the series name with what is considered the largest sports sponsorship in history. Nextel committed to more than $70 million a year for ten years. 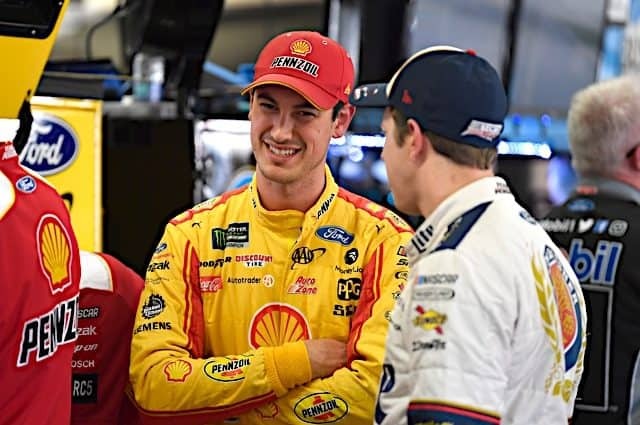 Not only an unimaginable amount for a company of their size, but a clear indication that they were willing to gamble, in a big way, their future business success to that of NASCAR’s. In return for the gargantuan sponsorship Nextel made no secret of the fact that for $700 million dollars or more, they would expect to be the only wireless communication company allowed to advertise in the series. This became problematic, as both Alltel and Cingular were already established team sponsors, and in the end the sanctioning body and the new prospective series sponsor compromised and agreed to allow the two competitors to continue their involvement, but only as it stood at that time. If either company merged with another competitor of Nextel’s, they would not be allowed to advertise the change at the track. The reasoning behind Nextel not wanting an open-door policy in the Cup series extended to its competitors is sound. They have paid profusely to have NASCAR Cup racing as their advertising platform. It’s their show for the next 10 years. 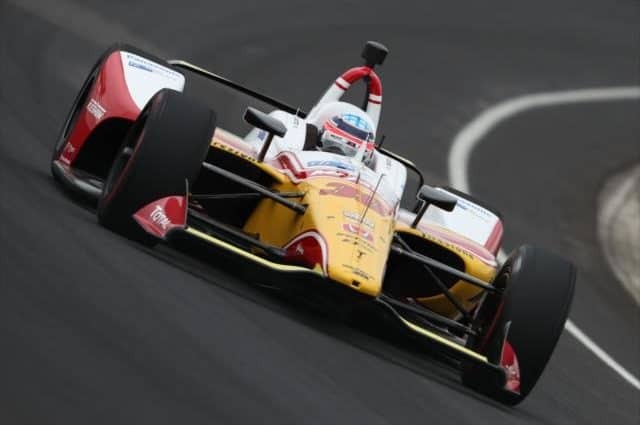 It makes no sense to allow others, intent on gaining market shares from them to pay only $15 million dollars a year for a team sponsorship and be afforded an opportunity to share advertising space with them at the track, and in victory lane. In hindsight, Nextel agreeing to allow Cingular to continue on as a team sponsor must have been cause for considerable consternation this past season. Cingular Wireless, who bought AT&T Wireless in 2004 (not to be confused with the later purchase of BellSouth/Cingular by AT&T), positioning them as the #1 wireless provider, was allowed to continue their partnership with the No. 31 team due to the fact that their name and product logo had not changed. 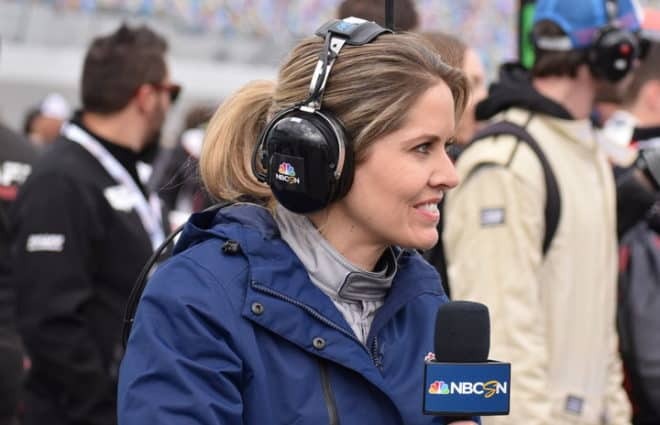 However, the 2006 season saw Burton and the Cingular team often running near the front or at the front during races, and in the Nextel Cup point standings. The dramatic improvement in the Cingular team performance also resulted in considerably more valuable on-camera advertisement opportunities during the Nextel Cup races. 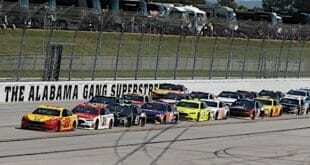 Certainly, Nextel’s biggest fear during negotiations with NASCAR on allowing other wireless providers to continue in the series had reared it ugly head. And had Burton’s performance not have trailed off during the latter half of the Chase to the Nextel Cup, Nextel could have found themselves in a very embarrassing and absurd predicament, presenting the Nextel Cup to their #1 business rivals. What effect the buyout of Cingular by AT&T would have on Cingular’s NASCAR sponsorship was known by AT&T at the time the takeover was being negotiated. Nextel’s exclusivity agreement had been well reviewed by AT&T at the time that they were disallowed a full primary sponsorship of BAM Racing for 2004. 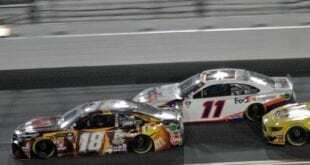 Conversely, the BellSouth/Cingular executives were equally aware of what such a merger of the two companies would mean in terms of continuing to advertise in Nextel Cup. But when one considers that BellSouth/Cingular cost AT&T a reported $67 billion (that’s billion with a B), there was probably very little concern expressed about a paltry stock car sponsorship going by the wayside. Of course losing Cingular is a significant event for Richard Childress, though he has indicated that he has alternate sponsorship in the wings. And no doubt Nextel’s position of not allowing any other wireless communication companies sponsorships limits other owners list of potential sponsors. NASCAR has to be cognizant of this when entering in to such agreements. And there is reason to believe they are, at least in part, evidenced by their lobbying a $700 million dollar sponsor to grant an exception to Alltel and Cingular during their high-stakes 2003 negotiations for a series sponsor. Well, about five months later the cherished 30-year policy was out the door, and Crown Royal joined Roush Racing. But too late to help Burton, who by then had moved on to Childress, and eventually the Cingular No. 31 ride vacated by then Childress driver Robby Gordon. Still, you can’t help but be sympathetic towards Jeff Burton in all this corporate madness. But through it all Burton has never lashed out concerning his undeserved misfortunes, instead he has continued to conduct himself as the consummate professional that he is.